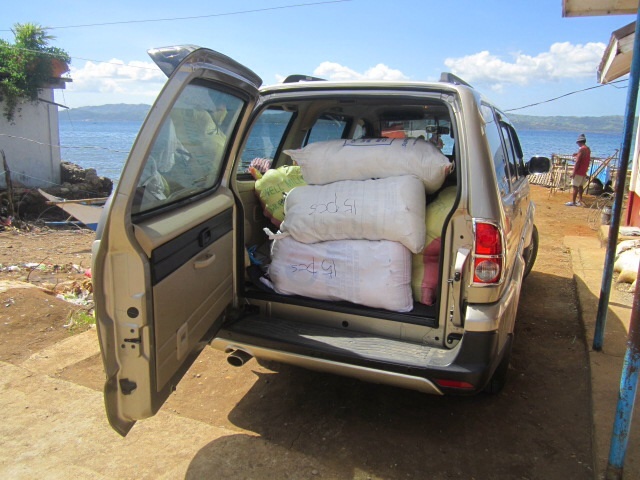 Efren Superable's car was even used in hauling the relief goods for the distribution to typhoon victims in Naval. Thanks Efren for all your time, efforts and the use of your car and you didn't even ask for gas money. sir efren good job.,hehe mztah na sir.